We are proud to announce we have been crowned silver winner of Best Development and bronze winner of Best House at this year's coveted WhatHouse? Awards. We also won the 'Best Design' category at this year's Housebuilder Awards. With our Easy Move scheme you can reserve the home of your choice at Woodside Square before you sell your existing property. Find out more about the Common House, Guest Suite and Development Management at Woodside Square. 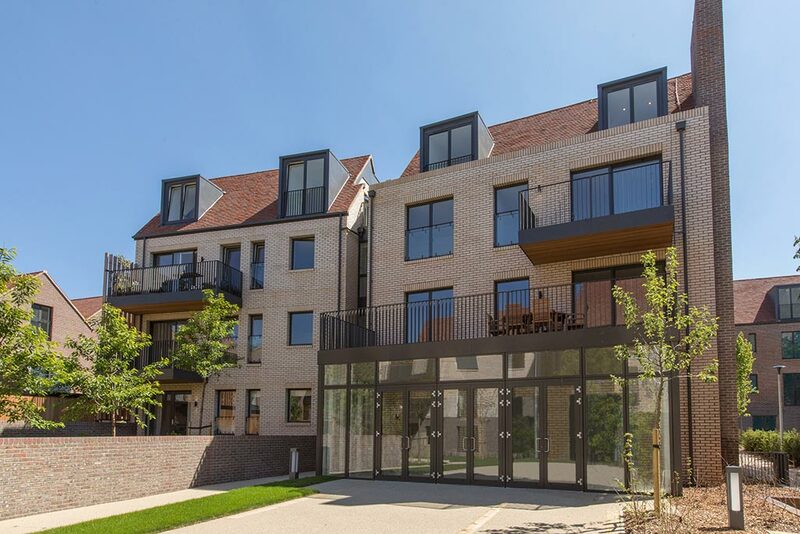 The Woodside Square Common House is a community facility that will be available for private hire. Not just for residents at Woodside Square but for the surrounding community as well. The space has adaptable functionality to host a range of activities from lunch and dinner gatherings to coffee mornings and book clubs. Full kitchen facilities and crockery are available as well as tables, chairs and soft seating areas. Grove 1, 2 & 3 bedroom apartments, 2 bedroom duplex apartments all for over 55's.